Sorry about delaying the announcement of the contest winner. It was all Sandy's fault! Well Sandy and my internet company :P Anyway, I am here to announce the winner now.....and it is.......Brave Sam Laveer aka Alric Ravensinger! Congratulations! I will be emailing your code soon, to the email you used to enter the contest. "In the legends of old told of a legendary Isle de Drake, an island, with a vast treasure hoard collected by the warlike Draconians. 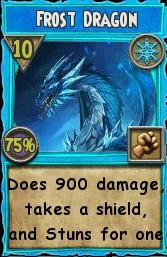 After the last war....when the Dragon Titan destroyed Dragonspyre all traces of it vanished....until now. Are you ready to collect the hoard?" Hey everyone! 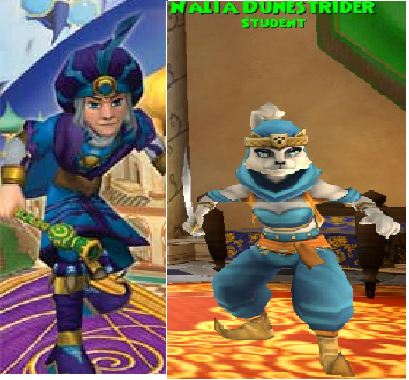 I have decided that since Pirate101 has been released and so many people have had a chance to check it out, maybe it's time for a contest. 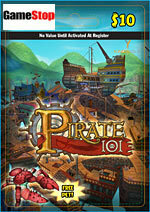 This contest is open to everyone, and there will be one winner who will receive a $10.00 Pirate101 gift card. So here are the details. I noticed that in the Pirate101 Crown Shop there is an empty category for "Packs." So my question is what type of booty would you like to see included in a pack? You can make up your own ideas, or include things that already exist. Include companions, pets, weapons, gear, ships and ship parts, housing, and anything else you can think of! 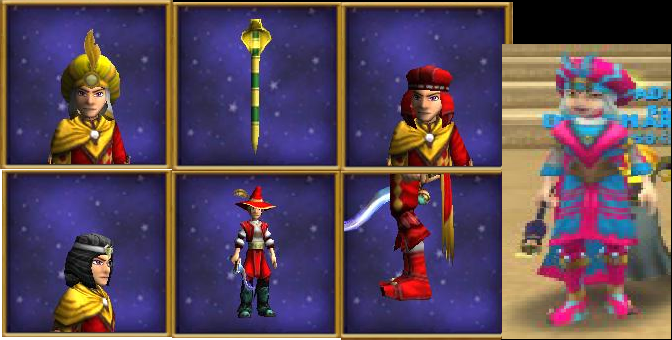 Try to make a theme, like the Wizard101 packs, and don't forget to name it! Be as creative as possible, and you could be the winner of the gift card! This contest will end on Sunday, October 28, 2012 at midnight, and the winner will be announced sometime on Monday the 29th. 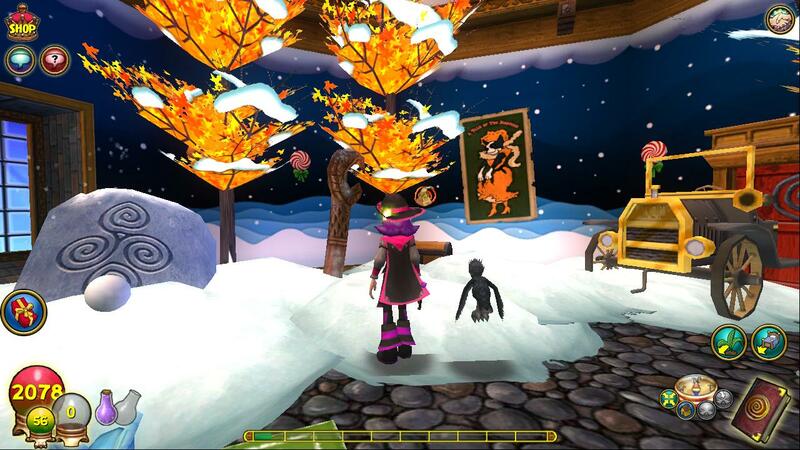 Please submit your entry to autumndreamwalker@hotmail.com and put "Pirate101 Pack Contest" in the subject line. Please include your Pirate101 and/or Wizard101 name, but no personal information. Be sure to check with your parents before entering, if you are under 13! Like I said, this contest is open to everyone, so be sure to let your friends know. Good luck! PvP = Pirate vs. Pirate? 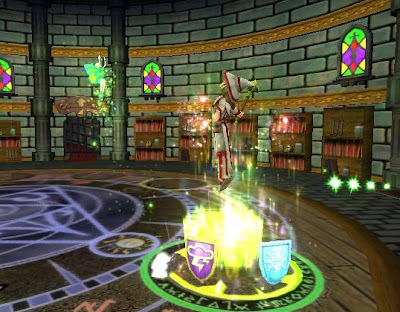 As of right now, Pirate101 does not have any type of PvP system in place. 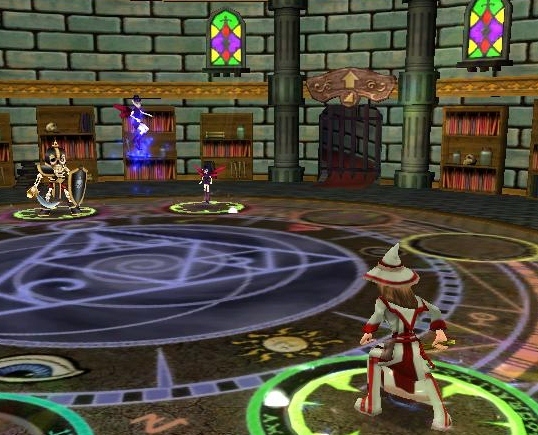 But as the Pirate101 Community Manager (aka The Friendly Necromancer) stated in this interview, many of the same features that are found in Wizard101 will be added to Pirate101 at a later date. 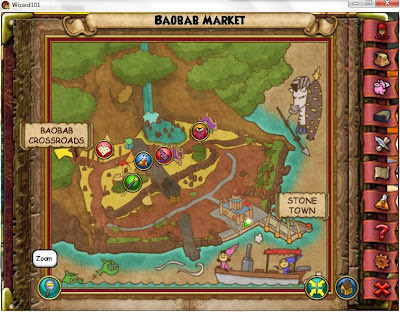 He specifically mentioned the Bazaar, but I am wondering if they will be adding PvP as well. How would companions be selected, if they are able to be used at all? Would multi-player combat be allowed, or just 1v1? 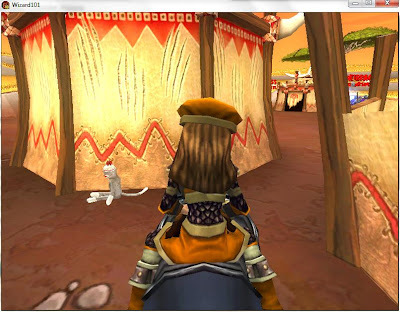 Would pets always be included in a fight, or would the pet-joining still be by chance? Would this give one side an unfair advantage? 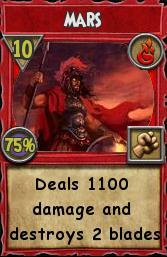 Strategy: P101 combat does have more strategy than luck. I wonder if the strategy would change much between PvP and PvE play. This brings me to my final point on Pirate PvP. I would love to see ship PvP (SvS?). I think that this would add a whole new aspect to PvP that may attract people who haven't been too fond of it in the past. 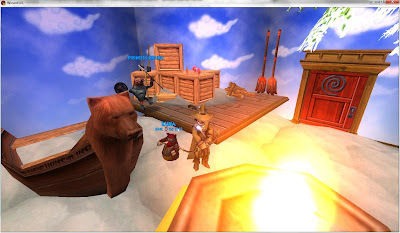 Ship are a huge part of Pirate101, and it would be a fun way to integrate them even more. Image the possibilities? Outfitting your ship and your character for PvP matches. Switching from a ship match to being boarded by the other player and having to switch to your hand to hand combat strategy. If this is ever added in the future, I may have to consider giving PvP a second chance! What do you think? Would you prefer Pirate101 PvP to Wizard101? What are your thoughts on Ship Pvp? Comment below and let me know! And now that I have possibly used "PvP" more times than anyone else in one blog post (is there an award for that? ), I think I will end it here. Thanks for reading and have fun questing! Baobab Market - Go over toward the boat that takes you to Stone Town, and go to the back of the building on the right. The sock monkey is there behind a box. 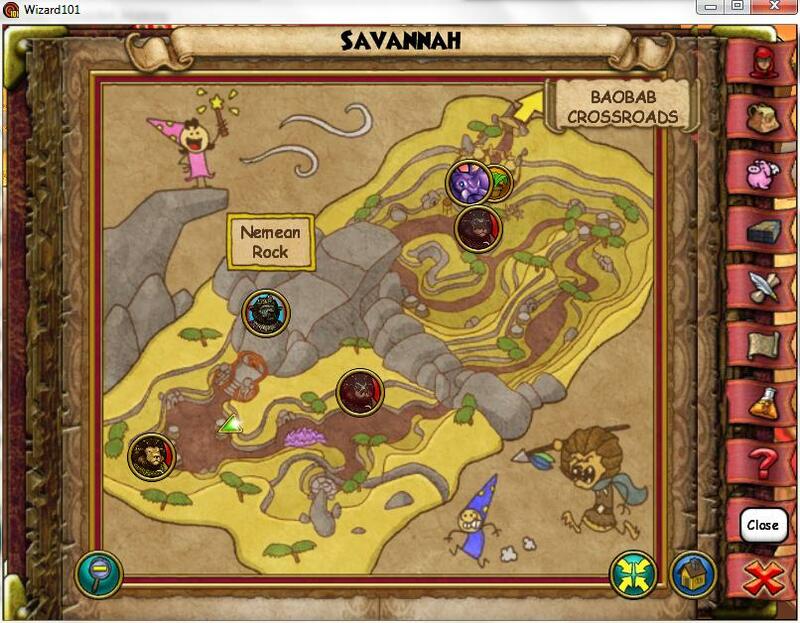 Savannah - The sock monkey is behind a tent to the right of Nemean Rock. 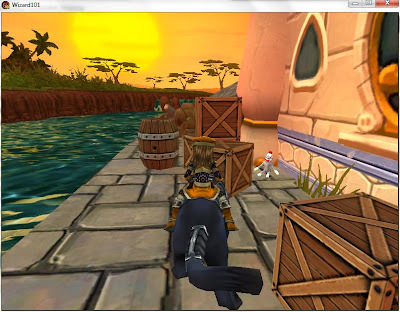 Zamunda Outskirts - This monkey is behind a tent, next to the river where the water tower is. Zamunda - If you go inside the Magician's house (I believe you will have to fight him) The sock monkey is sitting on a table. Waterfront - Go inside the restaurant in the Sook and go up there stairs, where you talk to the giraffe. The sock monkey is sitting on the floor against the wall. 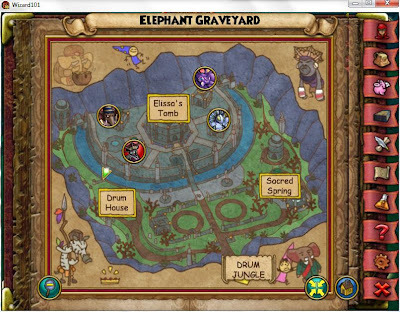 Elephant Graveyard - Right when you enter this area, follow the path all the way around to the left. You will see a gravestone. The monkey is hidden behind there. In other news, I have been busy busy busy in real life, and haven't had much time for leveling or posting. Sorry about that. But I really do want to get some work done on the blog, so this is what I have decided. I am going to be working on some guides and posting them, starting hopefully tonight or tomorrow morning. I have pictures for the rest of the Zeke quests and some of the book quests already, as well as some other miscellaneous things. This should allow me to keep up with my posting while I am busy. I hope you don't mind seeing so many guide type posts all at once, but it is something I have been meaning to do anyway. And I am sure there are some people out there who they will be helpful to. One other note......Jack has come back to the Spiral, along with the Halloween towers for the month of October. There is also lots going on in the community, so make sure you check out all the official sites for many chances to win some great prizes! Have a great time questing, and getting ready for the launch of Pirate101. I will see you soon, and thanks for reading! First, as you can tell by the title, this is my 100th post! Yay! I was going to use it to do something special, but it will have to wait, as life has gotten incredibly busy (again). Hopefully November will be less busy and I will be able to post more and maybe have a contest or 2. I will try to level a little and update/post at least once a week over the next month though. I did get to level Autumn Winterbreeze a little last week. 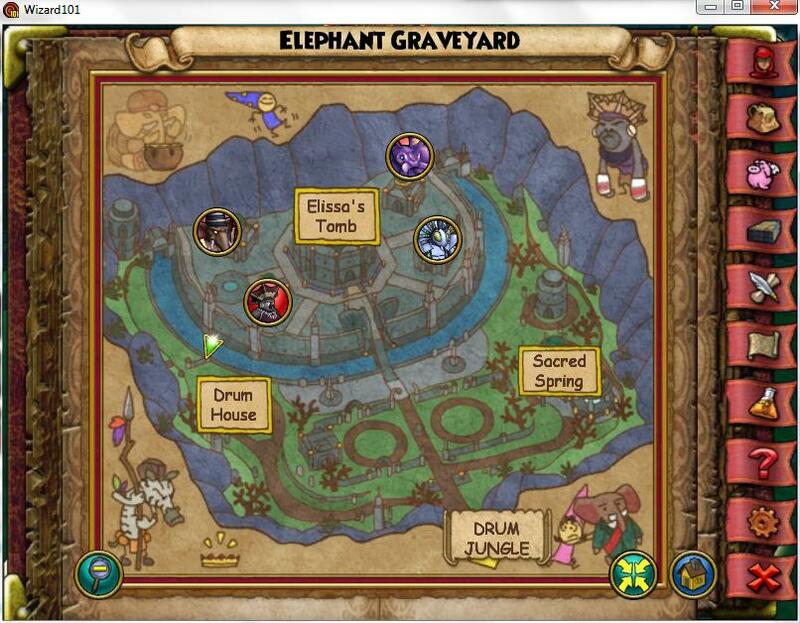 She finished up Drum Jungle and started questing in Elephant Graveyard. That means Zafaria is almost done! Here are a few pictures from the last battle of Drum Jungle. Woolly Mammoth Time! 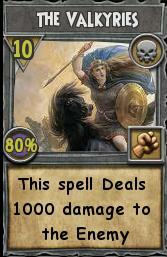 I love this spell! And here are a couple pictures of me starting Elephant Graveyard. I haven't done much yet, only the first battle of this area. 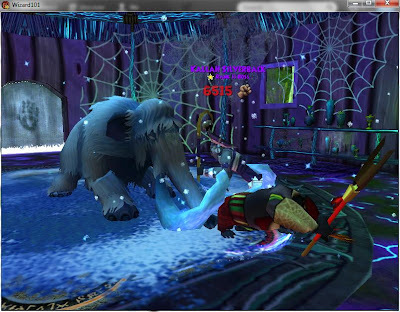 Snow Angel (another favorite ice spell) freezing the spiders! So that is a small update. I hope to be able to make another post soon! Meanwhile, have a great time in the spiral! See you next time! I am possibly looking for someone who would like to level with me on my ice. She is currently in Drum Jungle. If you are interested, let me know! Also, I am still trying to work out how to fix the glitch with my blog and Internet Explorer. If anyone has any ideas, please, please, please let me know! I want visiting my site to be an enjoyable experience for everyone! In other news, it looks like most people like the new design, minus the glitches. Thanks to everyone who voted and gave me feedback. As a thank you for your support, watch for a contest in the next few weeks! And here is the first place entry for the contest. It's long, but read the whole thing. You will see why Talon won! 1. The Level 80 tower is here, in The Dunes. It is called The Tomb of Isfet (That means Chaos in Ancient Egyptian). It works just like Waterworks and Briskbreeze tower. 2. The level 88 spell quest NPC's are here. 3. 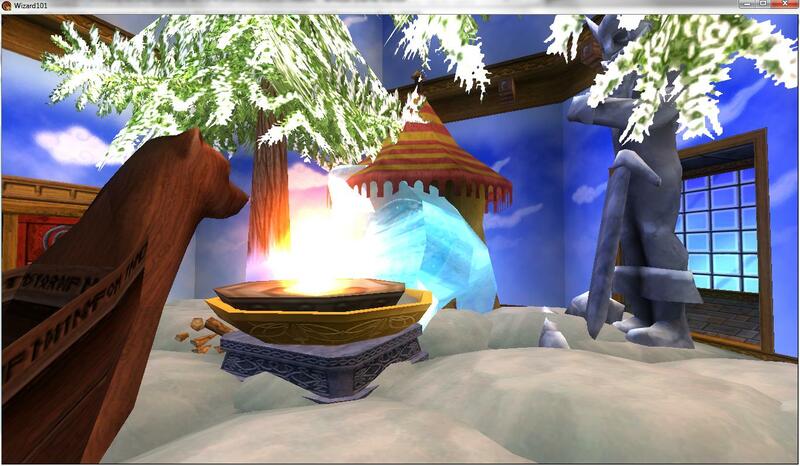 This is the next world in the Morganthe storyline and adds 10 more levels to the level cap. This is what the music would sound like if your just walking around, but with more background music. The Shining city of Purrsa-(This is a play on words of Parrsa, which was the capital of the ancient Persian Empire. Parrsa in Ancient Persian supposedly meant "the city of the Persians". I would like to think that Purrsa would mean "The city of the Purr-sians". Parrsa now is known as Persepolis, but Parrsa is what the Persians called it.) The Shining city of Purrsa is the capital of the Purr-sian empire, and the home of the great and terrible Sultan. It is beautifully built, and has sustained its purpose of protecting its inhabitants from the cruel and merciless desert. This is the "Commons" area for Mirage, and no Enemies are located inside this area. The city has a library, which sells all of the normal treasure cards, plus astral cards. The city also has an academy of Magic. The Bazaar- This is the first area with actual enemies. This is an area on the outskirts of Purr-sepolis, a sandy clearing filled with tents and Merchant Camels, which have Merchandise extravagantly priced. This is the "Shopping District" area of Mirage, and the Player can buy gear here and get the crafting recipes for many things.There is also a regent vendor. The place also has Black-cloth-covered Cat enemy's called Desert Bandits and some Shadow Wraiths. They are both part of the Main story-line quests as well as some side quests. The Dunes- This area is in the middle of the Desert and it is filled with Bandits. There is also a tower with a boss called Dariusss the Poisoner(This is a play on words of the Persian name, Darius) Dariusss is a Balance Snake boss with 20,000 health who does not cheat. The Oasis- This area is a great lake surrounded by Palm trees. 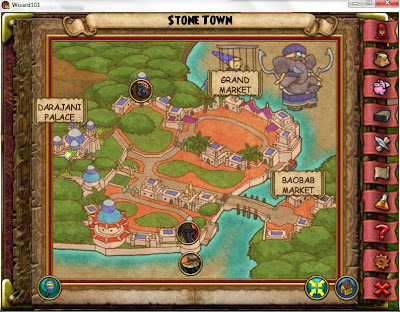 It is also the only surviving element of Mirage's former glory.On the map it is in the center of the world, right in the center of the desert. There is also a small Snake village here, which you help from Serpent cult members. There are 3 minor bosses here, all of them small Serpent Cult members with roughly 12,000 health each. The Sunken Archives- This area is basically a library of sorts sunken underneath the sands. It is filled with books, sand, and Scarab Mercenary's, Shadow Wraiths, and Serpent Cult members. It is somewhat like a maze of bookshelves. There are 2 bosses here, one a Scarab beetle boss called Khepri the Conqueror( Khepri is the Ancient Egyptian sun god, which is supposed to have been represented by a Scarab beetle), and a Goliath named Goliath Ack'majk'an. Khepri is a Balance boss with 15,500 health and The Goliath is a Death boss with 16,000 health. 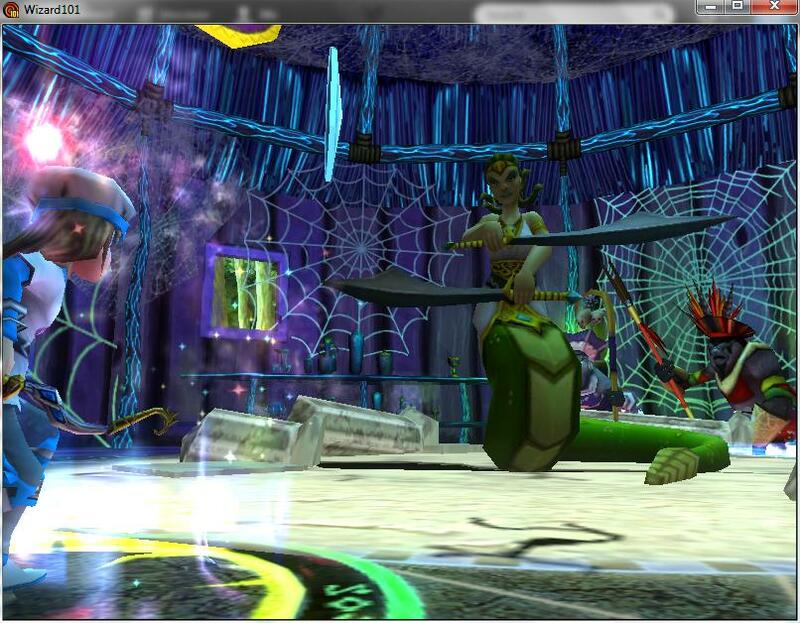 The storyline begins when you arrive in Mirage and are requested by a Court Messenger to meet the Sultan. You meet with him and he welcomes you to Mirage, but also warns you of the rebellion. You agree to help and he sends you to the General of the Purr-sian army to train. You must fight the Purr-sian General and defeat him to prove your worth. After you defeat the General he tells you to go to The Bazaar and help the Merchant Camel's their from the frequent thefts by the Desert Bandits. You eventually help them and find information from the Bandits that the hideout of the Bandits and the Rebellion is in The Dunes. You go there and are asked by the Purr-sian soldiers to help them by collecting their stolen weapons from the Bandits their by defeating them. You later learn that the Leader of the Rebellion is a Snake named Dariusss the Poisoner. You go to his tower and fight him. He manages to escape and reveals to you that he is a servant of Morganthe. His abandonment of the area has dispersed the Rebellion, but when you tell the Sultan and the General this news of Dariusss, they say that you must go to the Oasis to investigate, as the Oasis is the Snake homelands. 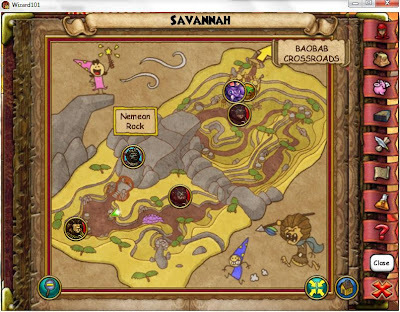 When you arrive there you find the Snake village there in ruins almost. When you ask the Village Chief what happened he explains that the village has been harassed and looted multiple times by the local Serpent Cult. You give this information to the General and the Sultan and they tell you to investigate on this Serpent Cult by defeating some Cult members and seeing if they have anything on them. You eventually find that some of their clothes are wet and believe that to to be a clue that the Cult member's Head Quarters are inside the Oasis lake.The Sultan tells you to infiltrate it so the Purr-sian army can stop the cult. You get a potion from the Village chief that transforms you into a Snake to infiltrate the Serpent HQ, and a potion to breath underwater. The Cult Headquarters is a Dungeon. You manage to get in untroubled and find that Dariusss is also the leader of the Serpent Cult. He is heavily painted and known as "The Gold Cobra" among the Cult members, but you recognize his trademark Hood markings. You hear him telling the whole cult that how Morganthe will help them and overthrow the Sultan. He then notices you and sets 4 Elite Serpent Cult members after you, Storm Snake mobs with 3000 health each. Dariusss escapes and so do you. You tell the General what you found and he says that when he sent some Soldiers there nothing was found except a Scarab amulet. This is the sign of the Scarab people, he says, who are the keepers of The Sunken Archives. Their loyalties are divided he says, so you must approach them with caution. You go to the Sunken archives and are immediately challenged by a group of Scarab Mercenary's with 2500 health each. You meet with a Scarab loyal to the Purr-sian empire and he tells you that the majority of the Scarab's have sided with Morganthe and Dariusss, who has brought all of his Rebels and Cult members with him. The Loyal Scarab tells you that the Evil Scarabs are lead by a Scarab named Khepri the Conqueror. Morganthe has come to Mirage to search for the Horn, and the Archives is where that information is sure to be. 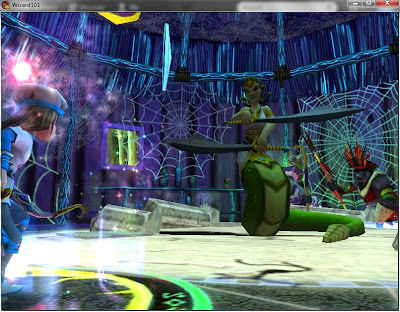 You have to find the information and take it to the Sultan before Morganthe and defeat Khepri and Dariusss. To do that you go around the Archives and search the books, which are in Archive rooms. You get to the last one on the list, and you find the information, but with Khepri with it! You battle it out with him and eventually win and find the information, but need a key for it. The key in question belongs to Goliath Ack'majk'an. You defeat him and unlock the information, which turns out that the Horn is in The tomb of Cyrus of Purr-sia's tomb. 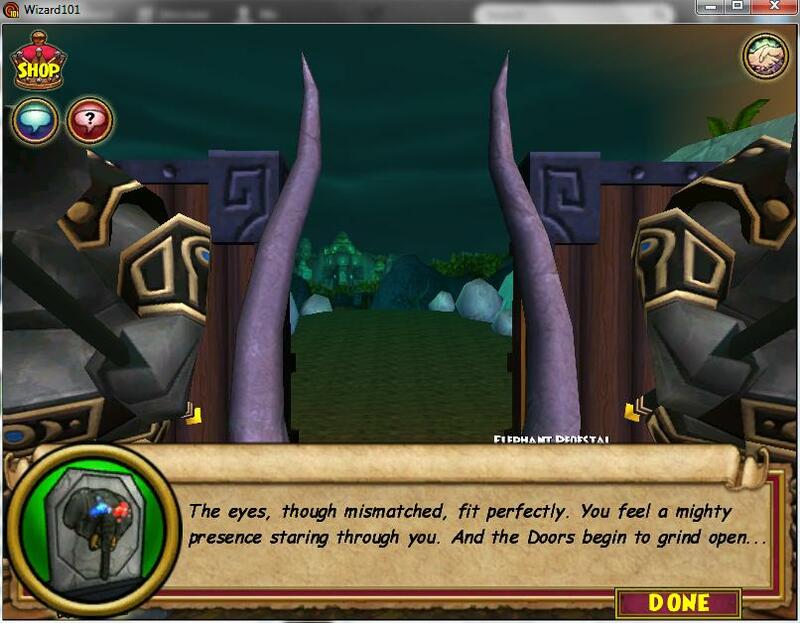 You tell the Sultan this information and he tells you you must defeat Morganthe before she get's the horn. You go to the tomb of Cyrus, the first Sultan of the Purr-sian empire, which is a dungeon, and search the tomb for the horn, fighting multiple mobs and minor bosses. Finally you find the Horn, but in the hands of Morganthe! She says she will give you one more chance to join her side, but you say no. She says that its a shame that someone of your power should be destroyed so young, and disappears and leaves you to fight 3 Desert Souls and Dariusss, but this time he has 30,000 health. You defeat them eventually and Dariusss says before dying that not you, Ambrose, or anybody can stop Morganthe now. You leave the dungeon and tell the Sultan the disturbing news. He is shaken, but glad that Dariusss will not trouble the empire any more. He tells you to convey this information to Merle Ambrose. When you tell Merle Ambrose this news, he says that dark times are approaching, but dismisses you back to your study's. The History of Mirage- This quest is given by the Librarian in the Royal Purr-sian Library in Purrsa. The main idea for this quest is for you to search around Mirage for bizarre Monolith-like structures that contain the History of Mirage. The Monoliths are always sticking out of the sand and are animated by magical pictures that fly out and tell the story. Here is the History of Mirage that is written on the Monoliths: "When the Grandfather Tree first created the Spiral, Mirage was a beautiful place, filled with jungles and beaches, almost like a paradise. But it did not stay that way. When the Elemental Titans fought over dominance for the Spiral, many worlds were destroyed during their many battles. But Mirage sustained, even through the destruction. It lost all of it's former glory, but it survived the catastrophic conflict. It became a world covered with sands, a desert that seemed almost endless. The Grandfather tree and the Grandmother Raven had lulled the Elemental Titans to sleep, but the destruction they had caused could not be repaired. The survivors in Mirage of the Titan War were few, but they were strong. They learned to survive in the desert, becoming nomads, roaming Mirage and living off the land. They also learned to become like the Desert, to have the ability to sustain life, and the ability to destroy it. The inhabitants of Mirage were divided into many tribes, their loyalties divided into their own species'. But when the Shadow Web attacked, the Tribes united to repel the foreign invasion. The Tribes united under a Cat named Cyrus to form the Purr-sian empire. The Purr-sian empire defeated the Shadow Web, but what was really important was that Mirage was united. Cyrus took up the crown of Mirage and was recognized as the Sultan of the Purr-sian Empire. Mirage came into a great time of peace and Harmony. But always, the sands whisper of Darkness....."
The Royal Purr-sian Institute of Magic- This is a quest where you meet all the Teachers at the Mirage magical institute. They are not like the Pigswick Academy teachers and are all of Purr-sian origin and teach the same schools as Ravenwood. You are asked by them to ask if they could examine the lesson plans at Ravenwood so they could improve on their teaching. 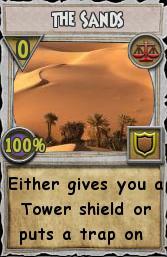 You do this and as a thank you for helping them you get the spell "The Sands", which can either give you a Tower shield or put a Balance trap on you(Card picture is attached :D) and has a 100% accuracy and costs 0 pips. 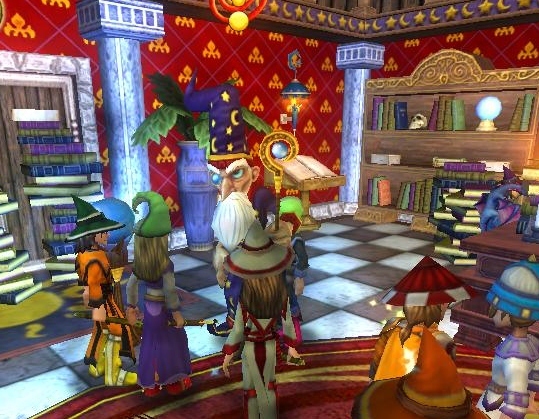 Fire- Fire students will be asked by Professor Falmea to come to her classroom and accept the quest "A little Red in the Face" to be able to aquire the spell Mars. 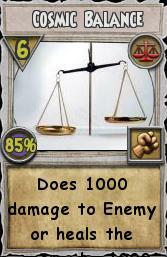 It is not a Damage over time spell and destroys 2 blades. 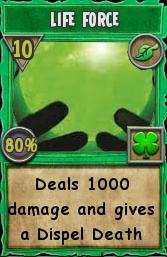 It deals 1100 damage and has an accuracy of 75%. It costs 10 pips. The animation is of a flaming warrior on a red landscape surrounded by arrows that have not hit him. He rises from his pose on one knee and points his sword at the enemy and lunges at him. Pyromancers will also be asked to accept the quest "King of the Sky" to receive a Fire Dragon pet. 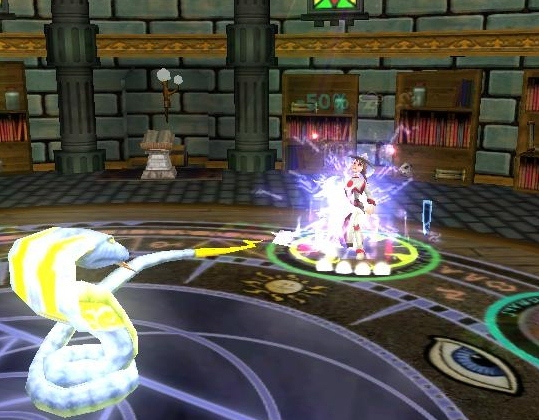 Storm- Storm Wizards will be asked to come to Halston Baelstrom's class to accept the quest "Above the Storm Clouds" to be able to aquire the spell Thunderbird. 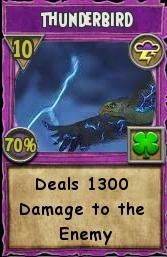 This spell has the possibility to do 1300 damage to the enemy. It has a 70% accuracy and costs 10 pips. The animation is of a over-large Hawk crackling with electricity but still looking like a Hawk. It turns into a bolt of lightning and dives at the target. 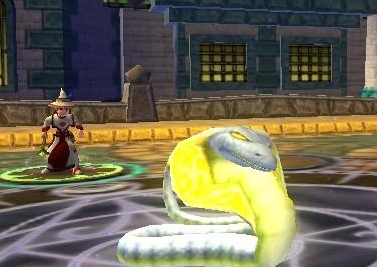 Diviners can also accept the quest "Not just an Eel" to be able to aquire the Leviathan pet. Death- Necromancers will be asked to come to Dworgyn to accept the quest "The Three" to be able to aquire the spell Valkyries. This spell does not steal health. It does 1000 damage and has an 80% accuracy. It costs 10 pips. The animation is of 3 woman wearing armour riding horseback and drawing their swords. They charge you as one and then disappear. 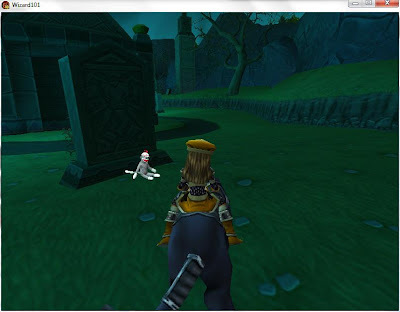 Death wizards can also get the quest "A Person's a person..." to be able to aquire the Dr.Von's Monster pet. 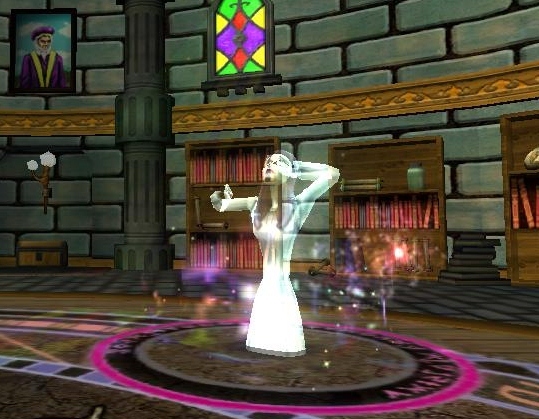 .Life- Life students will be asked by Moolinda Wu to accept the quest "Spirit of Life" to aquire the spell Life Force. This spell does 1000 damage and puts a dispel death spell on the enemy. It costs 10 pips and has an accuracy of 80%. The animation is of a Glowing blue orb come out of the caster and smash into the enemy. Life wizards can also accept the quest "Part Horse, All Warrior" to be able to aquire the Centaur pet. Okay, as you can see, Talon's entry was incredible. I think he thought of every possible thing Kingsisle would think of, from the storyline, to new spells/pets, to Zeke and Book quests. He even found music for his new world! I really hope Kingsisle sees this and uses some of the ideas! Thanks for the amazing entry talon! And congratulations on winning! You definitely deserved it! Here is the 2nd place entry from my contest. It was sent in by the one and only FAMOUS Edward Lifegem! Hey AD! Thanks for having this contest :) First off, good luck everyone! If I win and its posted on your blog, congrats to all of the winners :) Anyways... Here is the world that I would love to be added. 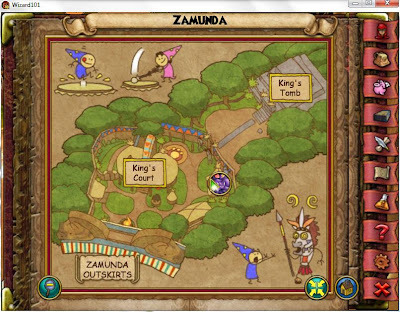 Lets start off with the questing! Dworgyn the death teacher will send you to a place you didn't think you would go again.. Dragonsypre. Once you get there, you have to find Malistaire! He was dead to begin with, he is death :) When you find him you see a Frankenstein get in the way and pull you in a battle and you have to fight him before talking to Malistaire. This boss has 15,000 health. He can cast all of the death spells. He starts out with 5 power pips when you join the battle. If you are lucky, you can win mega snacks, a bone dragon mount (you can only win once), you can even win a Shardtail Dragon! After you defeat this boss, you finally talk to Malistaire and he gives you the quest called "The Scary World"
This world is going to be focused more on the Death School. Its going to be a death world. This world has Skeletal Pirates - 2000 health, Ghouls- 2500, and Skeletal Dragons- 5,000 health. They can all cast Frankenstein, Skeletal Dragon, Scarecrow and feints. They start out with 4 power pips. The Skeletal Pirates are at the beginning of the world and the Skeletal Dragons are at the end. After you collect the quest you talk to the Scarecrow again (before you didn't notice his name, you realize its Jack!) He tells you what's going on and why he is here early before Halloween. There was a sinister plague put on the world by a enemy worse than Malistaire and Morganthe. I'm not going to tell you who this is. It might cancel me out of the contest. I might put it on my blog one day :) Anyways.... This plague made the remaining death wizards turn into all of the Skeletal Pirates, Skeletal Dragons and Frankensteins. The teachers turned into the Scarecrows and they help guide you through to rescue the students and turn them back into wizards. -This world is only for Wizards level 78 or higher. -There are other enemies that you would never expect to be bad. Once you are done with this world you will get a badge that is very different from any other badge you have recieved. Sinsiters Champion. Yes, this is level 90 badge, on this world.. This is another awesome entry! I really like the details Edward gave about all the enemies you have to fight, and the storyline. 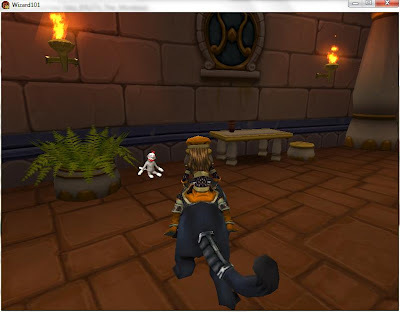 It really does seem like something Kingsisle might put in the game. 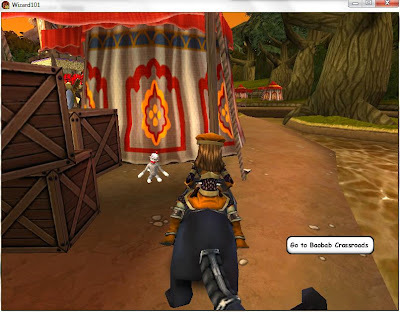 I also love the idea of the bone dragon mount and the sheep pet being dropped! 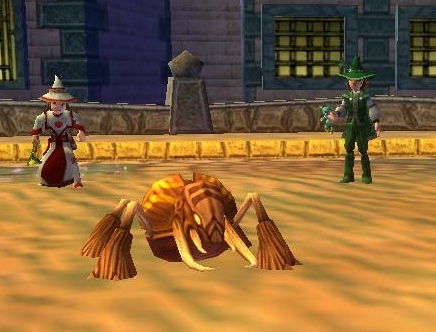 I absolutely adore the sheep pet and have wanted one for over a year now! 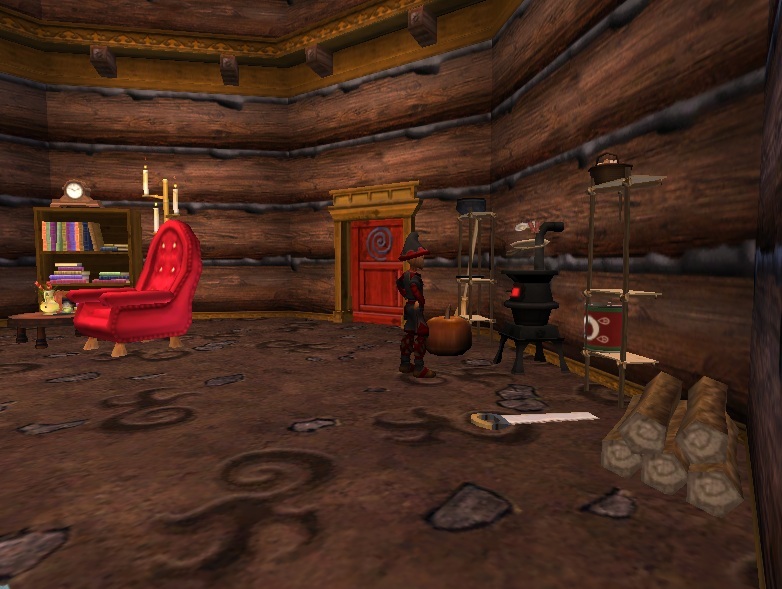 Now all we need is for Edward to make that blog post about the enemy that's worse than Malistaire and Morganthe! Please?!?!?!? :) Congrats again on winning Edward! I really did like your entry a lot! The last entry I am going to post is loooooooooong, so it may not be up until tomorrow morning. Make sure you watch for it! Hey everyone! As promised I am posting the winning entries from my contest. 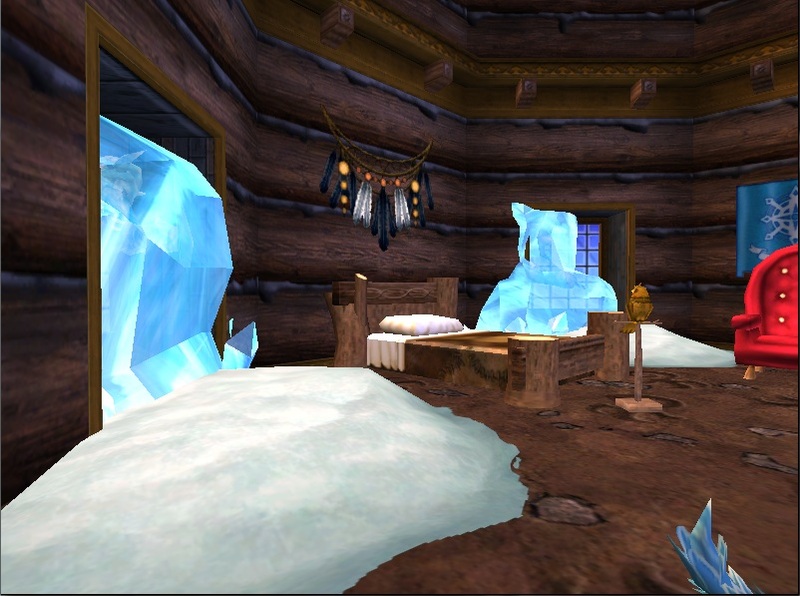 Here is the 3rd place entry, sent in by Kelsey Fireheart. It's a world filled with islands in the middle of a huge ocean. You have to cross makeshift wood bridges or floating docks to get to other islands. It's full of jungle and huge ruins that is made from red desert blocks. It's a world filled with unknown beings that you have to fight to survive to find the secret answers in defeating Morganthe. There's a fable of special weapon you can use, but it's hidden on one of those islands. We don't know where. So we have to track down broken stories and information in order to find it. Some fights do not take place on the land, but on the water. We have to craft a boat and row to certain ships that are anchored in the sea where we will have fights on the deck or belowdeck. And sometimes we have to ride a boat to get to an far off island that is not accessible by wood bridges or anything else. Sometimes we even have to fight underwater monsters in underwater caves because clues are there for us to get. 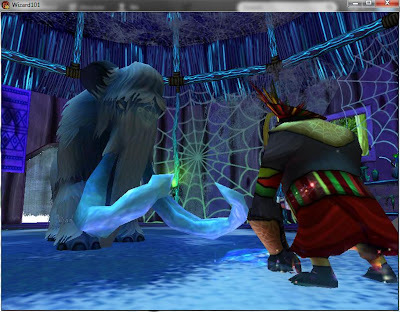 The enemies could be for instance monkeys that is very hard to defeat since they're very flexible and cagey, giants who aren't that bright but strong and huge shaggy wolves in different kinds of colors and ostriches that love to spit. We could also see the storm cats from Avalon, but all black to blend into the jungle with a bit of green perhaps. 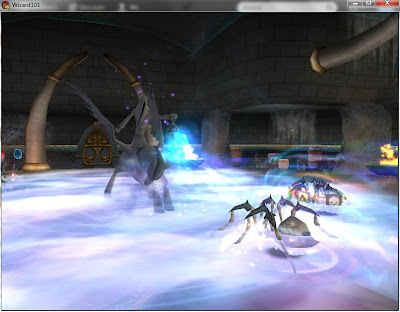 For underwater, we could fight with tritons and possibly have a huge boss fight with a Triton King. Pets could be a colorful parrot or parakeet, white cockatoo, perhaps even a small monkey, black panther and shark as well. Mounts could be an Elephant mount that could seat four people. Also a two-seater rhino mount that can plow through the jungle. Also why not a Llama mount. They're very pretty and can carry you nicely through the jungle. Also a Dolphin mount would fit here since there's a lot of water here. There's a lot of shallow water paths that the Dolphin can get through quite easily. Gear would be waterproof, very sleek and sharp but tough. Nothing too loose and heavy. This way we can swim in it, but can fight at the same time. Maybe khaki shirt and capris or pants that would be light enough to swim in and would dry out easily. Our wand could be a big slashing sword that we can use to cut through the jungle or a long whip that would whip at your enemies at a distance. A hat is a must, so maybe an Indiana Jones type of hat would be cool. First I would like to say thanks for all the support! You guys ROCK! I can't believe I have 105 followers now! It's amazing! 3rd prize (5 hoard packs) goes to Kelsey Fireheart! 2nd prize ($10.00 W101 giftcard) goes to Edward Lifegem! 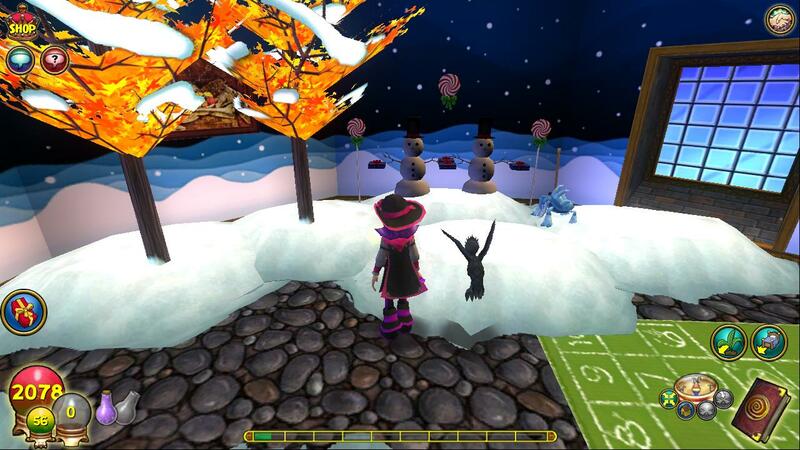 1st prize ($20.00 W101 giftcard) goes to Talon Nightshade! I got 100 followers over the weekend! Thanks to everyone who told their friends, and especially to everyone who has followed my blog! It really does mean a lot! As promised, I am having a contest starting today to celebrate. There will be three winners: 1st prize will be a $20.00 W101 gift card. 2nd prize will be a $10.00 W101 gift card. 3rd prize will be 5 hoard packs of the winner's choosing. Here's what you have to do to enter. 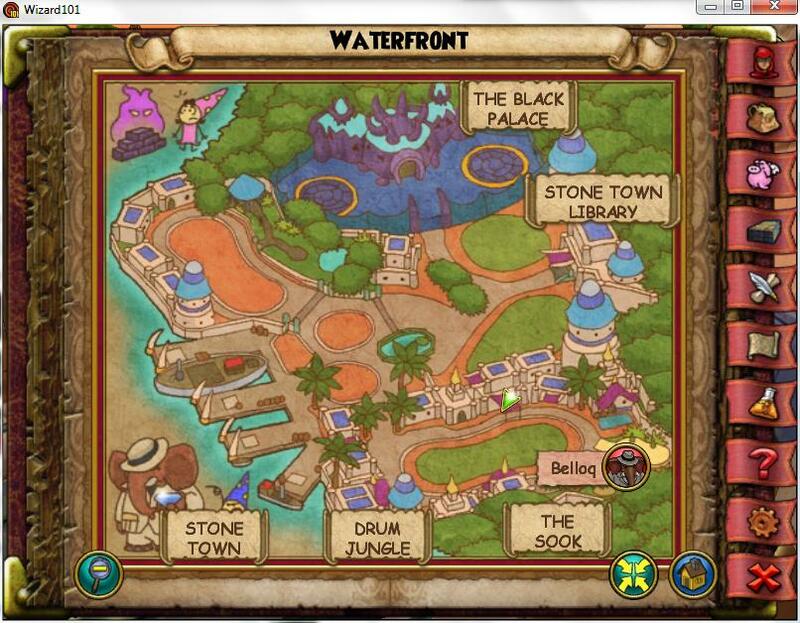 Send an email to autumndreamwalker@hotmail.com describing a new Wizard101 world. Be as creative and as descriptive as you can. 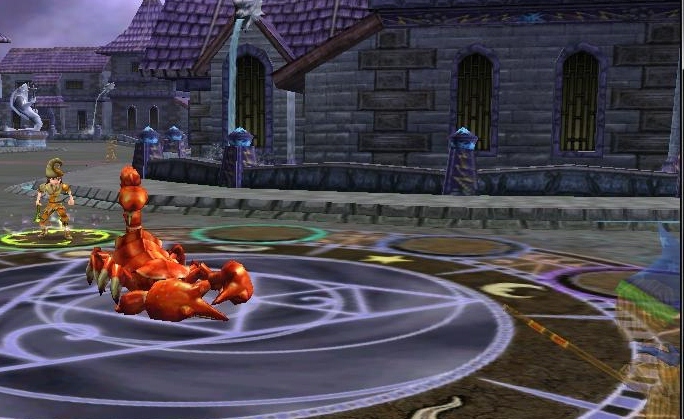 You can include what the enemies will be, gear and pets that might be dropped, mounts with the world's theme, etc. Include anything you can think of. And don't forget to describe what the world will look like and to give it a name! Please be sure enter New World Contest in the subject line of the email. Also please include your wizard's name, but no other personal information please. The contest will end Friday, June 22, and the winner will be announced the following Monday. Good luck to everyone, and thanks for all your support. See you soon! One a side note, I started training my basilisk pet. The first two talents were both derby talents. I am very disappointed in the level 78 pets. 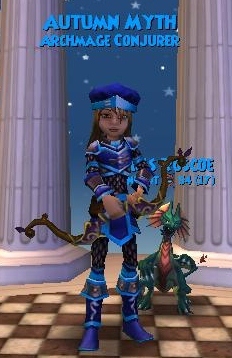 I think my level 48 pets are better, and my level 58 pets are definitely better. I really hope Kingsisle makes the next school pets better! I have decided that to celebrate my blogging come back, I am going to have a contest. There's a catch though. I would like to get the word out that my blog is back, so I will be having the contest when I reach 100 followers. Only 9 more followers to 100! As far as the prizes go, well I haven't quite decided yet. But I will make sure they are great! 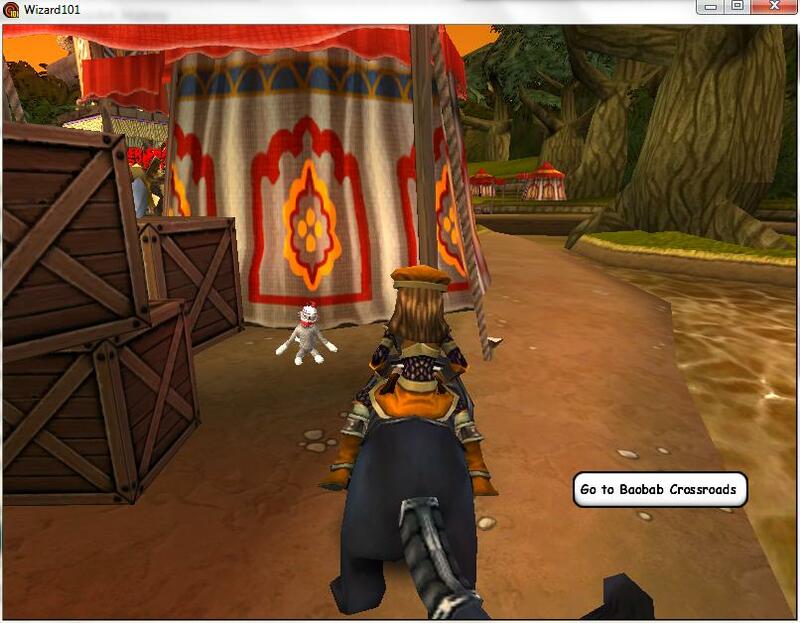 I am seeing gift cards, and possibly mounts or pets as prizes. So spread the word about my blog please! At 100 followers, I will announce the contest details! Thank you for everyone who has stuck around through my break! It really means a lot! See you soon with more updates! Have fun and stay safe! So I announced that I was back, and then I didn't post again for weeks. I am sorry. I had a case of writer's block. That, and there has been so much going on in the spiral that I was kind of overwhelmed. 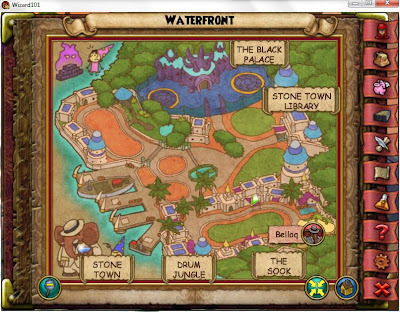 Kingsisle announced a new game (Pirate101) that is going to be launched sometime this year, there is a new world (Avalon), along with new spells, pets, items to be crafted.....SO MANY NEW THINGS!! And on top of that, I have been leveling my myth. So there was plenty to blog about, the problem was that I didn't know where to start. And...........That ends now. I am definitely back now and am going to make it a priority to update at least a couple times a week......starting today! YAY! So as I mentioned, I have been leveling my Autumn Myth. I think the last time I posted, she was level 30-something. 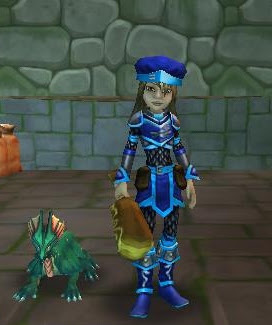 Well, today she reached level 77 and got her Basilisk pet! See? 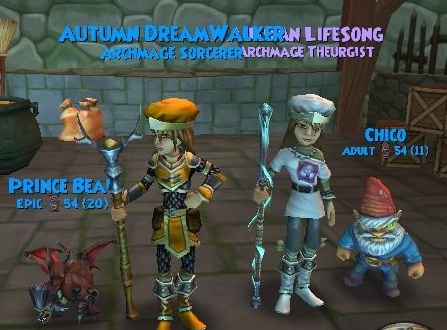 I have also leveled both Autumn Dreamwalker (balance) and Autumn Lifesong (life) to level 80. They got all their new spells and pets. I have to say......I am a little disappointed that these new higher level pets aren't much better than the level 48 pets. But some pretty cool hybrids can be hatched from them. I may make a post about that later in the week, so make sure you watch for it! And speaking of pets, I have been very busy pet training. I have 25 epic pets and about 6 more that are adult or ancient. I am loving deadly helephant ears and evil magma peas for mega snacks. I have also experimented with prickly bear cacti, red grapes of wrath, and white tiger lilies, which are great if you can find some! Anyway, I think I have some great ideas for new posts. I am also going to be trying to update/redesign the site. Also, once Autumn Myth is all leveled up, I am thinking of making a new fire wizard, so I may blog about her adventures through the entire spiral! Anyway, this is a very random, little bit of everything, update type of post. I promise to be back soon with more news and better posts! 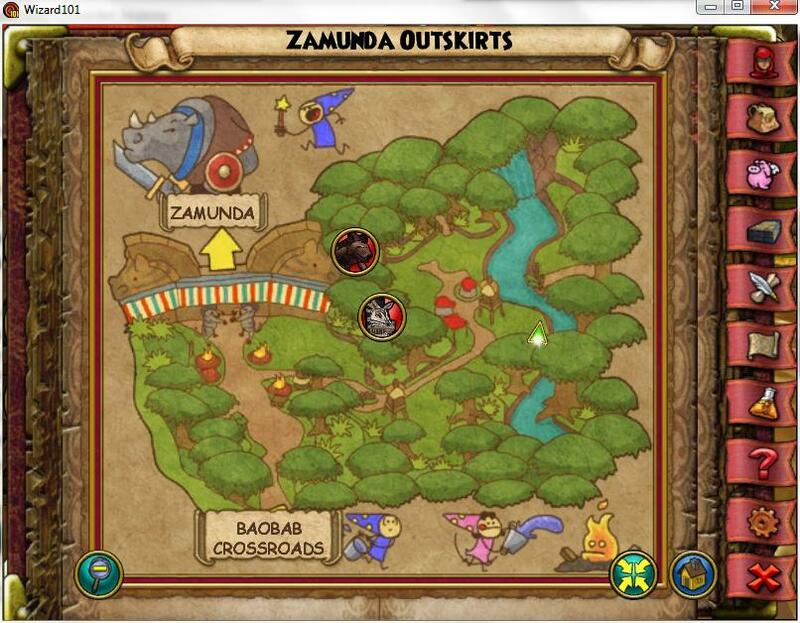 See you later and have fun questing! Happy Monday Wizards! :) I hope everyone had a great weekend! 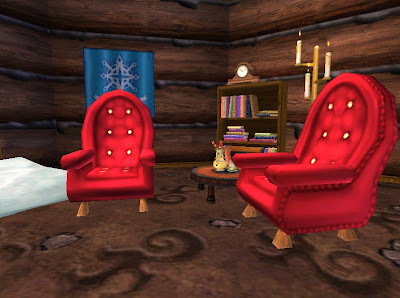 It's time for me to announce the winners for the Winter Dorm Decorating contest. That's right, I said winners. The entries were so great and it was so hard to choose, I decided last night to award 3 $10.00 W101 giftcards to 3 people! Each entry I chose has several things I was looking for. First, they followed all the contest requirements (winter themed, brief description, etc). All of these entries also contained creativity and great use of glitching. I also really loved the stories/decriptions that go along with them! So here we go! The winners, in no particular order, are as follows. Scot Soulhammer - This was a trading post, abandoned after it was frozen solid by the ravens. 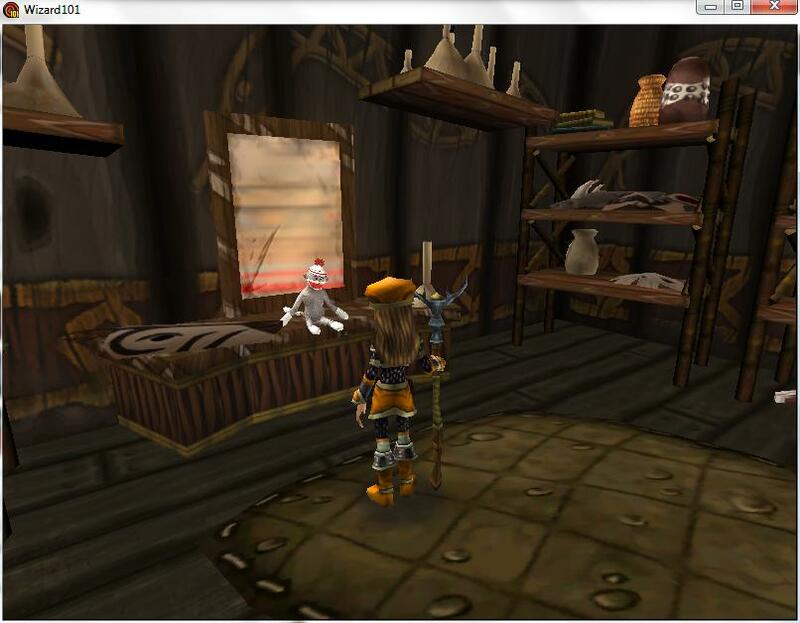 At the moment, it is being ransacked by a boar. Sierra Mist - My dorm portrays a child's backyard during the winter holidays. As you can see, trees are covered with snow and the child has built 2 snowmen holding gifts in their hands. Some of the child's pets are roaming about in the cold snow. The snow is thick, so the family car's wheels are covered with snow. 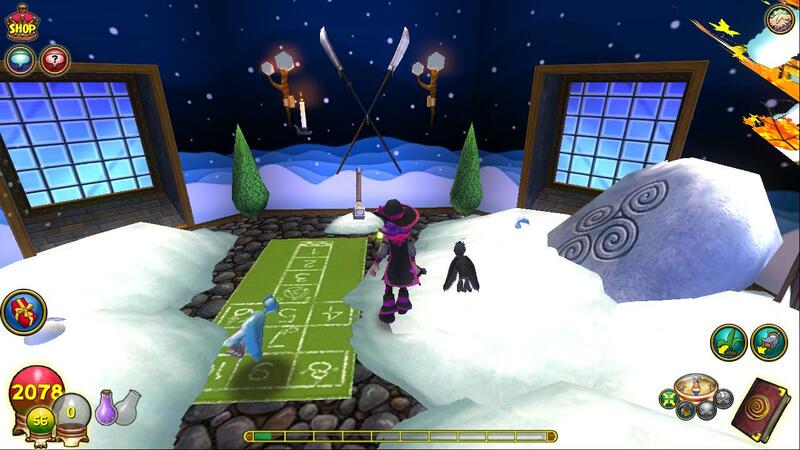 Also there is a hopscotch mat and a shovel to dig through the snow with! Paige Moonshade - Let me take you to a lodge cabin where a young man has been snowed in. You can see the ice and snow slowly coming in through the windows and he makes himself something to eat. He loves to sit and drink tea while reading a good book. He hopes that the snow will let up soon so he can go back home from the mountains. So those are the three winning entries. Congratulations to you all! You can look for your codes later today (around noon eastern). I will send them to the email addresses you entered the contest with. Thanks to everyone who entered. All the entries really were awesome. I will be making a separate post tomorrow with the other entries. Also, look for more contests and giveaways in the future! Have a wonderful day everyone! See you! I joined several of my fellow bloggers and created an account on the UK server. 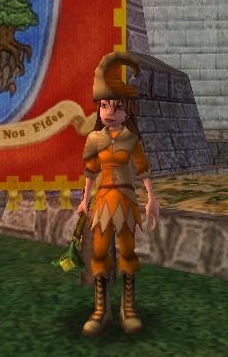 Her name is Autumn Dreamwalker and she is balance, just like my first wizard on the US server. 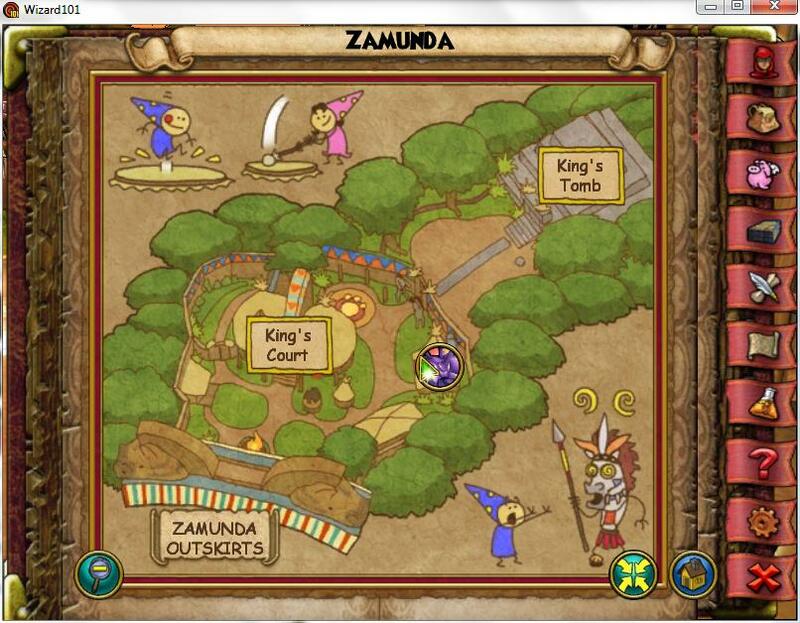 I don't have a membership or crowns on there yet, so I can't quest very far, but I am hoping to get some soon. Anyway, AD2 is currently level 7 and just starting Triton Avenue. I love questing on the UK server. It is a lot quieter and a lot of the people on there are so nice! :) Plus, something about it makes me feel like a new player all over again. 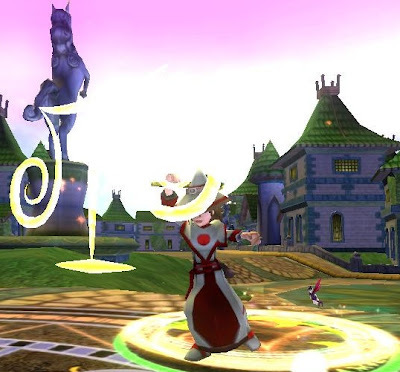 Anyway, here are some pictures of me questing in Unicorn Way and starting Triton Ave.
Getting my very first quest.....To Unicorm Way! Scarab, the very first balance spell you get. And Edward Lifegem! Being attacked by thunder snake. Lady Blackhope dying....Well, idk. Can a ghost actually die? 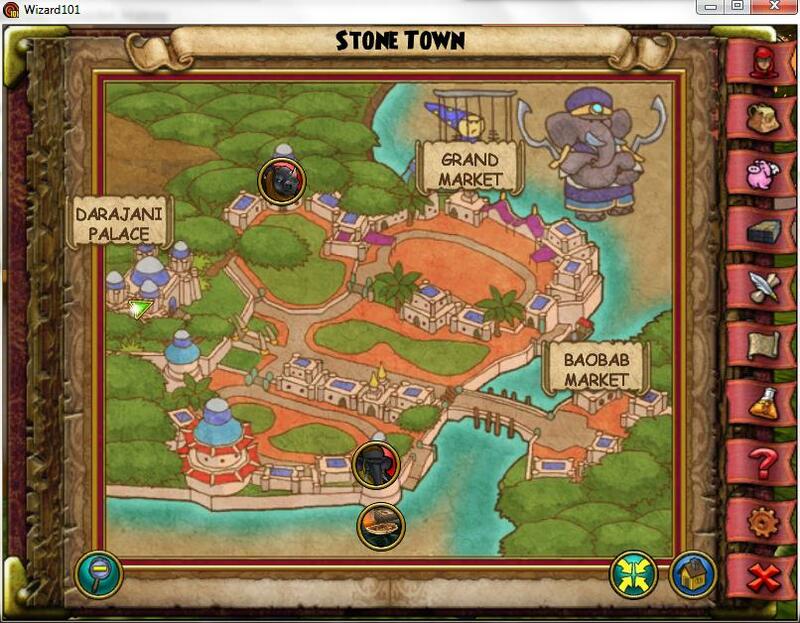 So anyway, those are my adventures so far on Wizard101 UK. Along the way, I got to meet and add a few friends, mostly people I know from the US server, but also some awesome UK wizards as well. One of my favorite things about the game is definitely the friends I get to meet on there! Anyway, thanks for reading. See everyone next time!